Dear Good People, Please pray that GOD removes any and all evil people who would gang stalk me or otherwise attempt to interfere with my life. Please pray that GOD himself comes down from the heavens and makes all bad and bored people disappear. 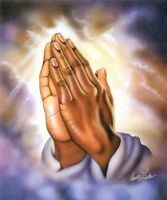 Please pray for me for as long as possible and offer up the strongest prayers you have. Thank you for your prayers.